The packaging is especially nice with this product. It comes in a dinky little bottle with an integrated pump - as you can see on the picture, it's pretty small if you compare it to my (very regular-sized haha) fingers. I'm always so amazed when products that are on the cheaper end of the spectrum come with such great packaging and include a decent pump - it looks nice, and it's more hygienic than most other forms of application. The amount of product you get out of the bottle with one pump is more than enough to use for both of your undereye areas, so be aware of that; normally I even have a tiny amount of unused product left, but I'm okay with that. 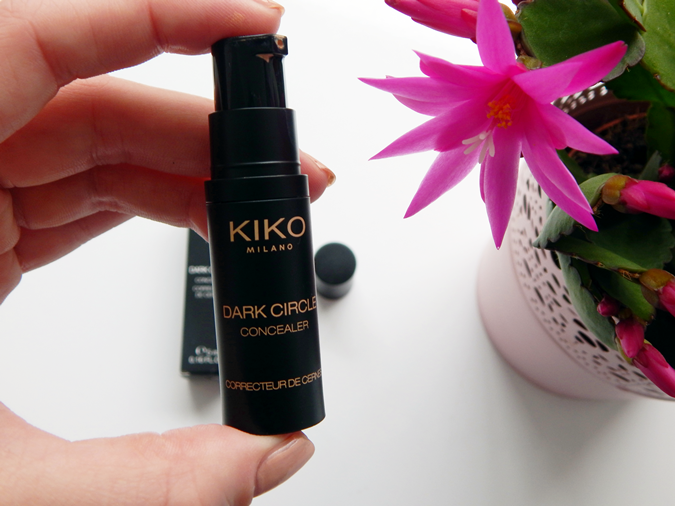 I have the lightest shade of the Dark Circle Concealer range, and when I first used it, it came out looking a bit darker than I expected it to be and with a bit of a salmon-y tinge. Applied to the face however, it works really well in concealing dark shadows under the eyes and it's actually a really good colour match. The texture is thin for a liquid product, but I find that it helps to blend very easily into the skin. I would recommend blending this concealer in with a small fluffy brush - I suppose the Real Techniques Setting Brush would be quite nice for that purpose, but unfortunately I don't own it myself! I have no issues with creasing, which I think is due to the thin texture and the easy blendability; I normally set it with some sort of powder, and then it lasts for the whole day. This range of concealers currently offers 8 shades that range from very light (01 Porcelain) to quite dark (08 Cocoa), so it also caters to women of colour to a certain extent, which I think is really great. One bottle contains 5 ml of product which is pretty average - in comparison, the Maybelline Fit Me Concealer, that's around the same price depending where you get it from, contains 6,8 ml of product. 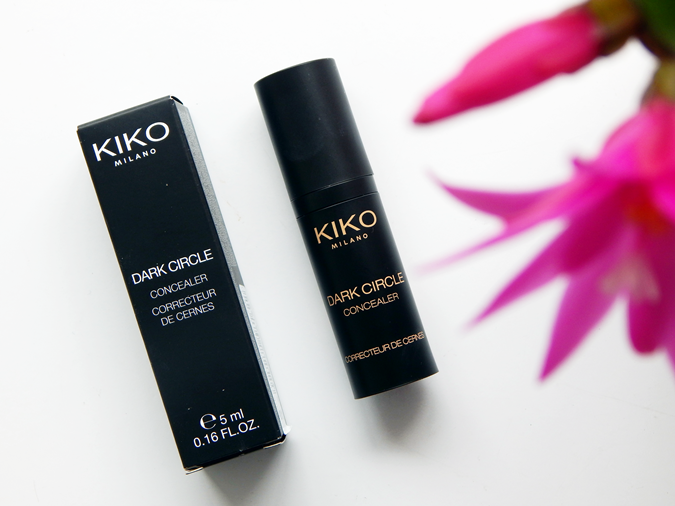 The KIKO Dark Circle Concealer costs 8,90€ and is definitely not the cheapest KIKO product I own, but I feel like with this one you pay a bit extra for the packaging and the pump, which is justifiable in my opinion.